Home › Coastal Georgia › Watching the Tropics in March Already. Watching the Tropics in March Already. By WeatherFlow meteorlogist Shea Gibson. 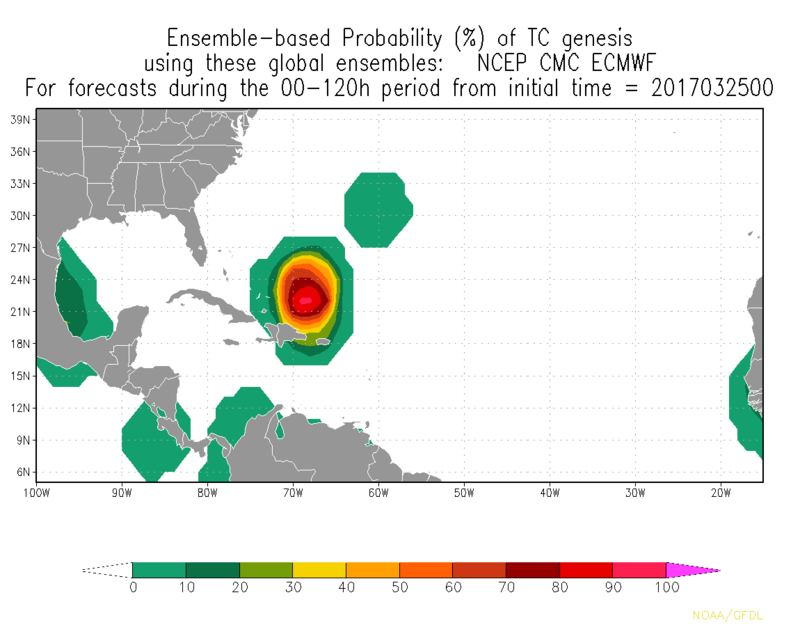 We are watching this area for Sunday through Tuesday in the western Atlantic as models are coming into more and more agreement for possible tropical activity. The area in question has a good chance at becoming a surface Low feature over warm waters, but looks to eventually move over cooler waters. 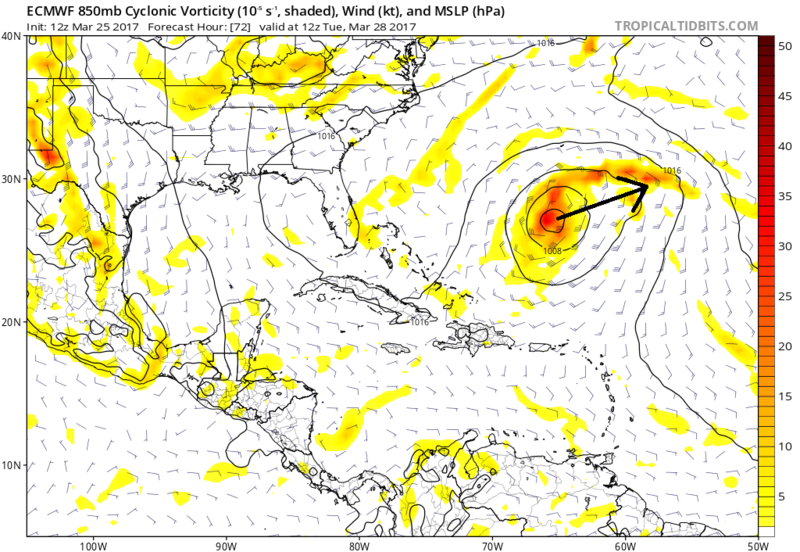 This would give it a subtropical signature as the surface low develops and heads NE/ENE in time. 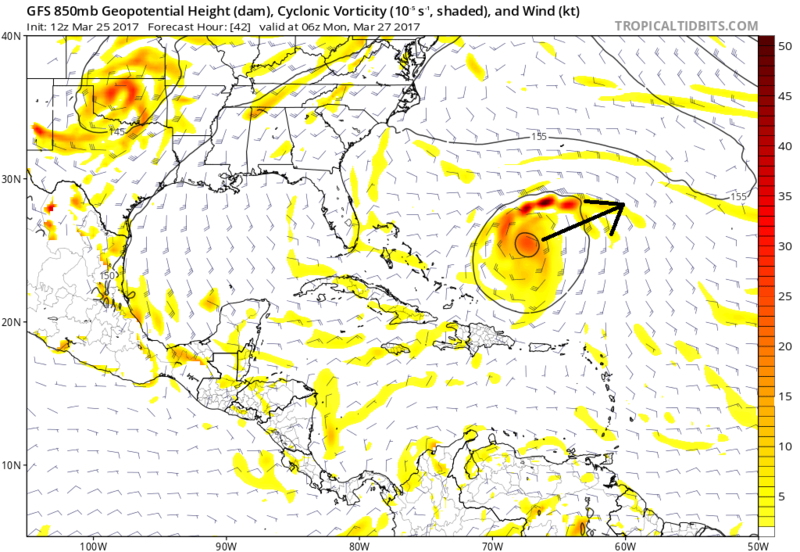 Either way, the SE coastal region may get a small bump in swell heights and Bermuda should watch for moderate to fresh gales. GFS forecast for Monday at 2AM. 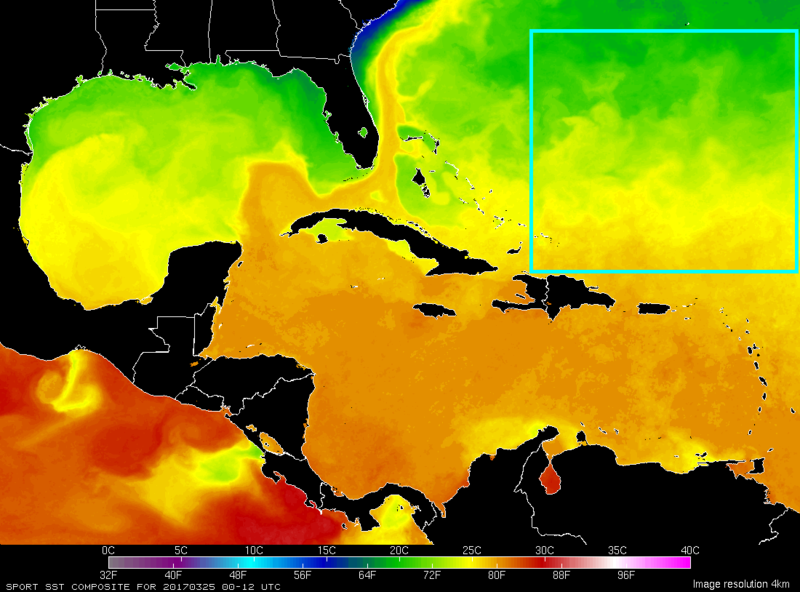 And here are the current Sea Surface Temps with the area shown in the blue box. Notice the cooler waters towards the NE quadrant of the box. This is a reminder that pre-season systems are possible as we head into our warmer season, so it’s time to shake off the dust and oil the tropical bookmarks. We aren’t expecting a named system out of this, but Subtropical Storm “Arlene” would be the most likely scenario if it does strengthen.